Erected 1955 by Board of Publication of the United Lutheran Church in America. Location. 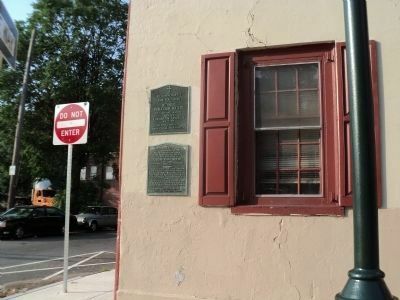 40° 1.918′ N, 75° 10.121′ W. Marker is in Philadelphia, Pennsylvania, in Philadelphia County. 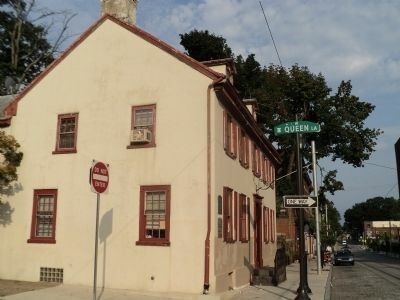 Marker is at the intersection of Germantown Avenue and W Queen Lane, on the left when traveling north on Germantown Avenue. Touch for map. 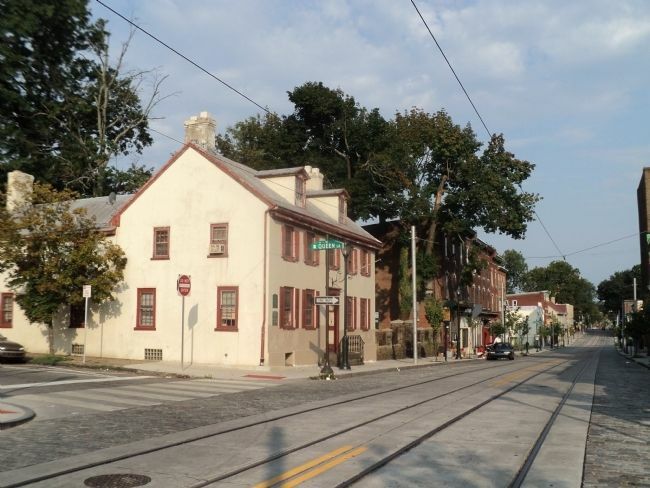 Marker is at or near this postal address: 5300 Germantown Avenue, Philadelphia PA 19144, United States of America. Touch for directions. Other nearby markers. At least 8 other markers are within walking distance of this marker. Christopher Sower (here, next to this marker); Christopher Saur (a few steps from this marker); Grumblethorpe (within shouting distance of this marker); Owen Wister (about 600 feet away, measured in a direct line); Louisa May Alcott (approx. Two markers can be found at this location. 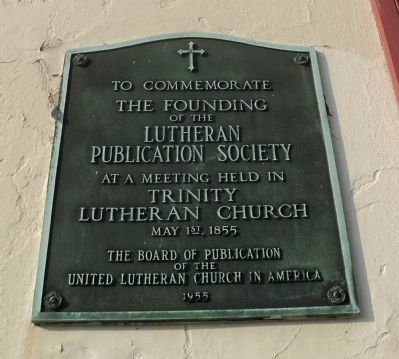 The Lutheran Publication Society marker is seen at the top. 0.2 miles away); The Germantown White House (approx. ¼ mile away); a different marker also named The Germantown White House (approx. ¼ mile away); First Protest against Slavery (approx. ¼ mile away). Touch for a list and map of all markers in Philadelphia. 4. Marker on Germantown Ave.
More. Search the internet for Lutheran Publication Society. Credits. This page was last revised on June 16, 2016. This page originally submitted on September 5, 2011, by Bill Coughlin of North Arlington, New Jersey. This page has been viewed 384 times since then and 11 times this year. Photos: 1, 2, 3, 4. submitted on September 5, 2011, by Bill Coughlin of North Arlington, New Jersey.